From hurricanes and tsunamis to terrorist attacks and oil spills, myriad natural and man-made catastrophes around the world prompt U.S. government aid. In the United States, the president declares a disaster or two each week, unlocking vital federal resources for state and local governments. At the same time, the United States regularly provides essential support to foreign countries stricken by tragedy. The growing frequency and intensity of disasters, which many link to global warming and human development patterns, highlight a range of challenges for U.S. preparedness and relief efforts. When does the U.S. government respond to disasters? States and U.S. territories, as well as tribes, typically respond to small-scale disasters and emergencies on their own or with assistance from nearby jurisdictions and volunteer groups. But in cases where the scale of a disaster exceeds local capacity, these authorities can appeal for help from Washington. What is the declaration process? Typically, the federal government only comes in once a governor makes a formal request to the White House. These appeals are generally based on a preliminary damage assessment conducted by a team of local, state, and federal officials. Housed within the Department of Homeland Security, the Federal Emergency Management Agency (FEMA) is responsible for coordinating Washington’s response to disasters on U.S. soil. The president, upon deciding federal aid is warranted, triggers the government’s physical and financial response by issuing either a major disaster or emergency declaration. Alternatively, he may deny a request if he determines the jurisdiction can recover independently, which is not uncommon. According to the Stafford Act [PDF], the principal law governing federal disaster response, “major disasters” are defined as both natural and man-made events, including “any hurricane, tornado, storm, high water, wind-driven water, tidal wave, tsunami, earthquake, volcanic eruption, landslide, mudslide, snowstorm, or drought.” Additionally, severe fires, floods, and explosions may warrant a designation. An “emergency” is a broader classification for relief efforts, defined as any instance for which the president determines that federal assistance is needed to help “save lives and to protect property and public health and safety, or to lessen or avert the threat of a catastrophe.” Emergency declarations are often made in advance of a looming disaster to facilitate evacuations and other protective measures. For example, President Barack Obama issued emergency declarations for nine states and the District of Columbia days before Hurricane Sandy struck the East Coast in 2011; seven of these were reclassified as major disasters after the storm made landfall. Emergency declarations, which can unlock up to $5 million in aid, run the gamut from the Flint, Michigan, water crisis to the Boston Marathon bombing to disease outbreaks. Credit: CFR Editorial. Source: FEMA. U.S. assistance for disasters abroad follows a similar blueprint [PDF]. A national leader can request assistance from the U.S. president, who issues a disaster declaration at his or her discretion. On average, the United States provides relief for dozens of disasters in more than fifty countries every year. Does the federal government ever take over response efforts? In most cases, state and local authorities remain in charge of relief efforts after the president declares an emergency or disaster. The federal government chiefly serves as a coordinator and a resource, supplementing state and local response efforts. However, Washington does take the lead when events fall under exclusive federal jurisdiction. For example, the FBI leads responses to terrorist acts, and federal agencies lead responses to disasters that strike U.S government property, such as national parks and coastal waters [PDF]. The agencies that participate vary based on the nature of the incident and the needs of the jurisdiction. In assembling an interagency team, FEMA relies on the National Response Framework (NRF) and National Disaster Recovery Framework, which identify the subset of agencies best equipped to respond to a particular challenge. For example, the NRF identifies the U.S. Army Corps of Engineers as the primary agency for emergency infrastructure repair; fifteen other agencies provide support. FEMA can also bring in nongovernmental organizations (NGOs) such as the American Red Cross. A small number of federal agencies can administer limited disaster relief [PDF] without a presidential declaration, including the Small Business Administration (SBA) and the Departments of Agriculture, Health and Human Services, and Transportation. Overseas, the U.S. Agency for International Development (USAID) coordinates most federal disaster relief efforts [PDF], while the U.S. Department of State takes the lead in assisting refugees affected by disasters. Both agencies work in close partnership with the Department of Defense and other federal agencies, as well as UN agencies, local and donor governments, and NGOs. What types of assistance do they provide? Disaster relief falls into three broad categories: preemptive action—consisting of hazard mitigation and emergency preparation—short-term response, and long-term recovery. In the immediate aftermath of a domestic disaster, responders focus on evacuations and providing food, water, shelter, and medical care where needed. The military also plays a critical role in this phase, providing search and rescue and other support. Thirty to ninety days after a disaster, agencies pivot from response to recovery efforts, working with state and local governments to remove debris and rebuild basic infrastructure. The government generally comes in as an “insurer of last resort,” providing financial assistance to those not covered by private disaster insurance. Most of FEMA’s financial aid goes to helping affected jurisdictions repair buildings, roads, and other public infrastructure and to provide housing and other crisis services to uninsured or underinsured individuals. Low-income families can receive broader financial assistance, including medical and funeral expenses and some compensation for property damage. Families and individuals may also qualify for tax relief, unemployment compensation, subsidized health insurance, and other aid. For example, the SBA and the Department of Housing and Urban Development (HUD) administer long-term recovery loans. Federal assistance can extend years beyond the disaster itself. Thirteen years after Hurricane Katrina crippled New Orleans, FEMA still had boots on the ground. Abroad, the U.S. government helps to fund the relief efforts of other governments and international organizations and by sending emergency responders and supplies, often transported by the U.S. military. USAID also deploys experts and contractors to help countries craft relief and recovery plans. For example, the U.S. government sent more than fifty experts from the Department of Energy and the Nuclear Regulatory Commission to advise their Japanese counterparts within a week of the Fukushima nuclear meltdown. How are federal relief efforts funded? Disaster relief and recovery costs can be enormous. In recent decades, natural disasters have caused trillions of dollars in damages worldwide. In 2017 alone, the United States incurred $300 billion in damages, a record amount. When individuals or companies are found legally responsible for accidents such as oil spills or fires, they bear the cost of relief. For example, oil giant BP paid nearly $65 billion in clean-up costs and legal fees after the 2010 Deepwater Horizon spill in the Gulf of Mexico. In the absence of a guilty third party or adequate private insurance, disaster relief costs fall to the government. The U.S. government typically absorbs 75 percent of state and local governments’ recovery costs. If damages are extraordinary, Washington can choose to shoulder a higher portion of costs. When Category 4 Hurricane Harvey left Texas with $125 billion in damages, in 2017, President Donald J. Trump increased the federal cost share [PDF] of debris removal from 75 to 90 percent. However, the full financial contribution of state and local governments is unknown, as most do not comprehensively track natural disaster spending. Credit: CFR Editorial. Sources: GAO; Pew Charitable Trusts. FEMA’s disaster relief fund [PDF] is the primary source of spending for federal relief efforts, which Congress funds through the annual appropriations process. However, Congress is regularly called upon to provide supplemental funds after major disasters strike after major disasters strike. Days after Hurricane Harvey hit Texas, lawmakers doubled FEMA’s disaster relief budget for 2018. Other federal agencies primarily draw from their own budgets for disaster relief efforts. Credit: CFR Editorial. Sources: GAO; Wharton School. USAID and the State Department finance most federal disaster relief abroad. More disasters. Natural disasters are becoming more frequent and more severe, which many climate experts attribute to global warming. Higher temperatures multiply the number of droughts and heat waves, giving rise to famine and wildfires. Warmer oceans fuel more tropical storms, hurricanes, tornadoes, and blizzards. And as ice sheets and glaciers melt, sea levels rise, leaving coastal populations more vulnerable to flooding [PDF]. Global disaster damages over the last three decades [PDF] have significantly increased. Human development patterns. As urbanization continues to trend upward, many cities around the globe are increasingly vulnerable to disasters. The United Nations projects that nearly 70 percent of the world’s people will live in urban centers by 2050, up from 55 percent today. Additionally, growing economic interdependence ensures that disasters ripple far beyond their point of impact. For example, Hurricane Harvey forced the temporary closure of a third of U.S. oil refineries, driving national oil prices to an all-year high. Logistical challenges. Hurricanes such as Harvey, Katrina, and Sandy have exposed major weaknesses in the ability of public agencies to plan for and respond to disasters. Many analysts believe that even with significant reforms, governments will long struggle with relief efforts that often bring extraordinary logistical and bureaucratic challenges over long time horizons. Federal recovery loans and grants are often insufficient and take months or years to reach victims, and government resources are overwhelmed, particularly during severe or consecutive disasters. For instance, Hurricanes Harvey and Irma depleted FEMA’s emergency supplies weeks before Hurricane Maria made landfall in Puerto Rico, contributing to the agency’s sluggish response. Some experts recommend lowering the federal cost share of disaster damages, shifting more responsibility to able state and local governments. Insurance shortcomings. For a number of reasons, including prohibitively high premiums, misperceptions about risk, and reliance on government relief, the majority of disaster victims are uninsured or underinsured. Just half of American homeowners in flood-prone areas have flood insurance [PDF], while only 17 percent of Californians have earthquake insurance. Some analysts say homeowners in hazard-prone areas should be required to carry insurance. Others argue that disaster-insurance companies should be eligible for tax deductions on rainy day funds [PDF], allowing them to lower costs and expand coverage. Every dollar spent on mitigation saves the U.S. government an average of $6 in recovery costs. Lack of resilience. Too often governments and households fail to take adequate measures to reduce their vulnerability to common disasters, say, by elevating one’s home after a storm surge to avoid future flooding or building weather-resistant infrastructure. Resilience building—including hazard mitigation—can be a tough political sell, requiring governments to make long-term investments whose dividends do not follow election cycles. “The system is not prioritizing the pre-disaster investments that would reduce the need for disaster response and recovery,” says Anne Stauffer, director of fiscal federalism and broadband research at Pew Charitable Trusts. “There is, however, a growing focus in the federal government to incentivize states to invest now to save later.” For example, Congress amended the Stafford Act in February 2018 to reward state and local governments that are prioritizing hazard mitigation. According to the National Institute of Building Sciences, every dollar spent on mitigation saves the U.S. government an average of $6 in recovery costs. FEMA outlines relief programs [PDF] available to federal, state, local, and nongovernmental officials. 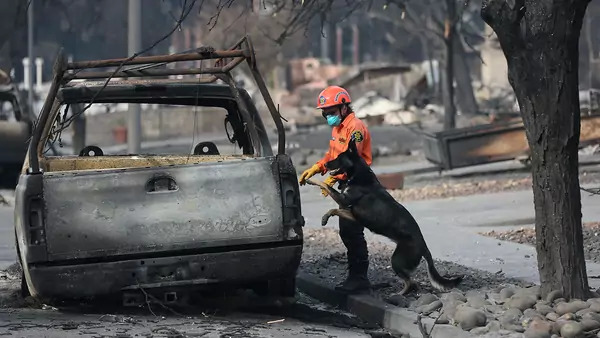 The Pew Charitable Trusts discusses the need for state and local governments to comprehensively monitor disaster spending. Retired U.S. Coast Guard Admiral Thad Allen discusses his coordination of the federal response to the Deepwater Horizon oil spill, lessons learned from Hurricane Katrina, and challenges to building resilience. Stephen Flynn, founding director of Northeastern University’s Global Resilience Institute, suggests ways to incorporate resilience into federal disaster responses. Carolyn Kousky of the University of Pennsylvania’s Wharton School examines the challenges of disaster insurance. The Congressional Research Service describes U.S. humanitarian assistance in international crises and disasters.